It gives me great pleasure to join you this evening. 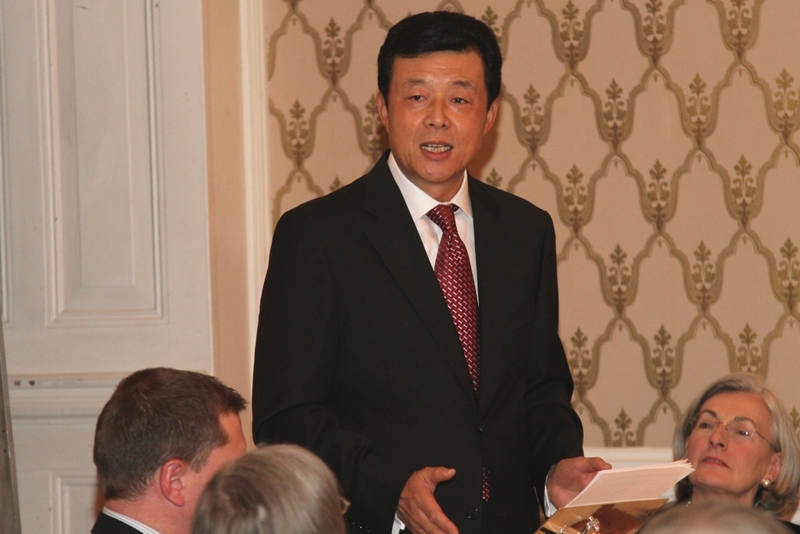 I am honoured to be the first Chinese Ambassador to address the Royal Society for Asian Affairs in its 110-year history. I know it was not until 35 years ago that the Society broadened its "strategic focus" from just Central Asia to all of Asia. Tonight I am going to share my thought with you about China's role in the world economy . According to the Oxford English dictionary, there are two basic meanings of the word "role". The first means "character", or a part played by an actor or actress in a drama. The second one is "function", meaning the mission one performs. I will discuss both "character" and "function" of China in its relationship with the global economy. In the world economy, there are basically two "characters" played by countries. They are either producers or consumers or both. China is apparently both a major producer and a major consumer. First, China as a major producer. Britain was the "workshop of the world" in the early 18th century following the Industrial Revolution. It was both a major supplier of industrial goods and the largest buyer of raw materials. It accounted for 50% of the world's industrial output in 1820. The British industrial dominance was fully reflected by the first World Expo or the Universal Exposition in London in 1851. Today, China has become the "workshop of the world". It is the world's No.1 iron and steel producer, consumer and exporter, and also the No 2 trader in the world as well as the No 2 oil importer and consumer. It also hosted the World Expo in Shanghai in 2010. That said, China is still at the lower end of the global value chain. As such it can only gain limited profits from production and trade. Take the "Barbie Doll" for example. A "Barbie Doll" is sold at 10 US dollars in the United States. Out of it, only 1 dollar goes to its Chinese producer, and 65 cents of that dollar covers raw material cost. Another telling case would be the IPAD. Its starting price in the US is 499 US dollars. How much does the Chinese manufacturer get in return? Well, according to iSuppli, a US market research firm, it is only 11.2 US dollars per IPAD. Why would there be such a big gap? The answer is possible. In the entire industrial chain of R&D, design, production, sales and after-sales service, China is only heavily involved in production. And production is the least knowledge-intensive but the most competitive. Therefore, it generates the least profits. China may have become the world's factory, but it is not yet a leading manufacturing power. That is why China has been working hard in recent years to encourage innovation and to step up IPR protection. Second, China as a major consumer. Much has been said recently about how China spends too little and saves too much. Some even see this as an underlying cause for the financial crisis. This is at best questionable. In fact, China is the fastest growing consumer of a variety of goods and services. China consumes 40% of the world's iron ore and main metals and 50% of the world's cement and glass. Private consumption has also grown at an annual rate of 7.12% in the past 32 years since reform and opening-up. Such sustained high growth of consumption is quite rare in the world. Admittedly, there are some challenges about consumption in China. First, a huge part of China's consumption goes to the purchase of investment goods. That is to say, most of our imports are energy and raw materials, instead of consumer goods. Second, private consumption growth still falls short of GDP growth, which is 9.9% on average over the past 32 years. The Chinese government is working hard to upgrade its growth model, restructure the economy and expand domestic demand, private consumer demand in particular. This will be a strategy of China's development for a long time to come. To talk about China's role in the world economy, it is not enough to only look at China's character as a producer and consumer in static terms. What about the "functions" carried out by China in the global economy in recent years? Let's look at the following three aspects. First, China as an "engine" of world economic growth. An ancient Chinese poem reads, "The beauty of spring spreads beyond the garden." Similarly, there is the concept of "spill-over effect" in Western economics. In the era of economic globalisation, economic development in China has much to contribute to global recovery and growth. This was particularly true in the time of financial crisis. While developed economies suffered from recession, China was quick to restore economic stability and growth. This has brought much needed confidence to the global economy. In 2009, China contributed to over 50% of global growth. This year, according to the World Bank, with double-digit growth in China, China will contribute 25% to global growth, making China the leading engine of the global economy for two years running. It is estimated that each percentage point of growth in China drives growth in mid- and low-income countries by 0.34 and 0.2 percentage points respectively. China is in the process of rapid industrialisation and urbanisation. Its modernisation drive is powering ahead. Given its huge population and vast domestic market, China is fully capable of maintaining steady and fast economic growth of 8 to 9% annually in the next five years, driving global growth at the same time. Second, China as a "booster" of international trade. China has always been an active trader and participant in international economic and financial cooperation. It has brought its tariff level down to 9.8%, much lower than the 46.6% average of developing countries. In the past decade, China imported 687 billion US dollar's worth of goods every year on average, creating 14 million jobs for exporting countries and regions. It became the second largest importer in 2009 with an import of over 1 trillion US dollars. Even as the financial crisis hit EU exports in 2009, EU's exports to China still grew by 4%. The first three quarters of 2010 saw China's import grow by 42.4% year-on-year to 1 trillion and 14 billion US dollars. This includes a 33.4% rise in import from the EU and 43% growth of import from the UK. It should be pointed out that China does not go after trade surpluses, as it is not in the long-term economic interest of China. China's trade surplus has been falling since the financial crisis. It dropped 102 billion US dollars or 34% in 2009 and another 42.5% in the first half of 2010. This means that China's trade surplus to GDP ratio was further reduced to 2.2%, an internationally acceptable range. I am sure as China boosts domestic demand, its imports will keep growing, leading to a more balanced trade. Third, China as a "stabilizer" of the world economy. As a responsible player, China made its utmost efforts to work with the world to weather the financial crisis and stabilise the global economy. It took an active part in the Global Trade Finance Program, strengthened business cooperation on bilateral, regional and multilateral levels, and signed currency swap agreements worth 65 billion pounds. President Hu Jintao attended all the five G20 Summits. China stepped up macroeconomic policy coordination and dialogue with other countries, promoted the reform of the international financial system and increased the resources for IMF and the Asian Development Bank. The Chinese government took credible steps to support European recovery by sending buying missions to Europe and signing important trade and investment agreements. The affordable yet high quality goods from China also help developed economies keep inflation at a low level. What is worth mentioning is that China has directly contributed to the stability of the Euro Zone. During the European sovereign debt crisis this year, China voiced firm support to the Euro Zone and IMF's Greek assistance plan. Instead of selling its Euro assets, China offered a helping hand to Iceland, Greece, Spain, Portugal and Italy. During his visit to Greece this October, Premier Wen Jiabao pledged to purchase more Greek bonds and announced a plan to set up a 5-billion-US-dollar fund to help Greek shipping companies buy Chinese ships. China bought 400 million euros in Spanish treasury bonds this July. What can be more precious than having a friend in need? 26 years ago, Mr Deng Xiaoping, the chief architect of China's reform and opening-up, said, "Pursuing economic development behind closed doors is never going to work. China's development is inseparable from that of the world". He also commented that China's relationship with the world should be one of "mutual help and mutual contribution". Today, this relationship has gone through historic changes. China's future is more closely connected with that of the world than ever before in history. China cannot develop in isolation, and the world's prosperity and stability requires China's contribution. In an age of globalisation, a more developed China means more opportunities and greater contributions to the world. China is ready to work with all other countries to make our world a better place for all. 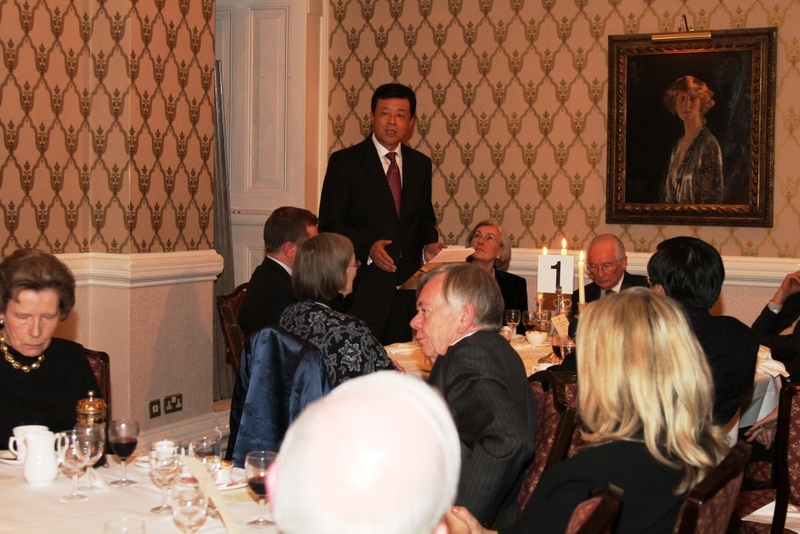 On 9th December, the Royal Society for Asian Affairs held a dinner and Ambassador Liu was invited to deliver a speech on China's Role in the World Economy. 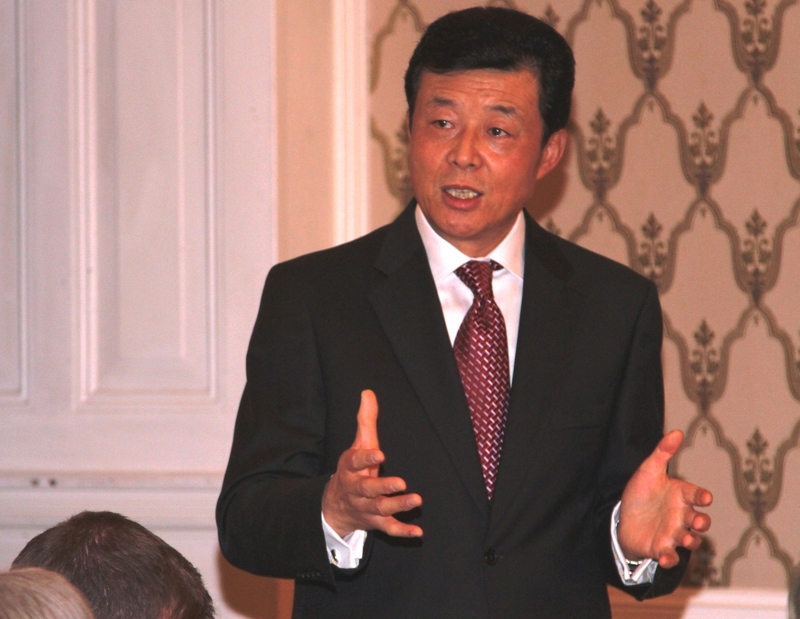 Following the speech, Ambassador Liu answered questions on China-UK educational links, China-EU economic cooperation, China-DPRK business ties, use of the Beijing Olympics venues and retrieval of Chinese cultural relics. The Royal Society for Asian Affairs was founded in 1901 as the Central Asian Society to promote knowledge and understanding of the region. It was renamed the Royal Society for Asian Affairs in 1975 to reflect its widened scope of focus to all of Asia. It has nearly 1,000 members. 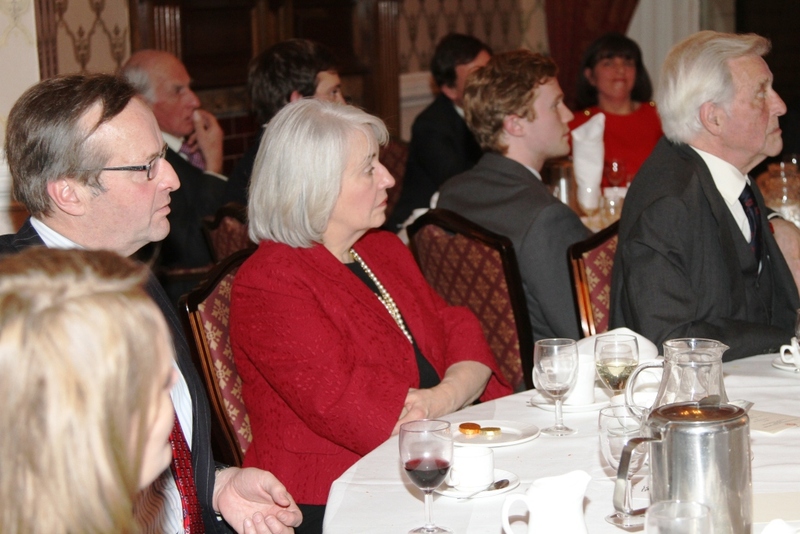 Meetings are held twice a month, usually comprised of speech by an authoritative speaker. Topics include political, economics, history, culture and other subjects of interest connected with Asia. The Society's journal is Asian Affairs.